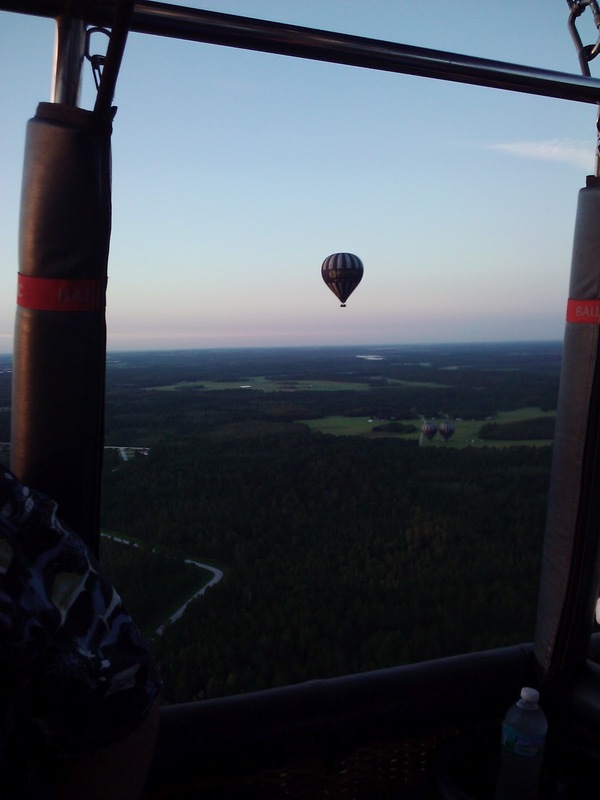 Today I was supposed to post about the Ascendio Conference but then my hubby surprised me with a hot air balloon ride. (!!!!!!!!) It was soooo romantic! We woke up at 4:15 am and headed over to the touristy section (which normal Floridians avoid like the plague) and loaded up into vans. 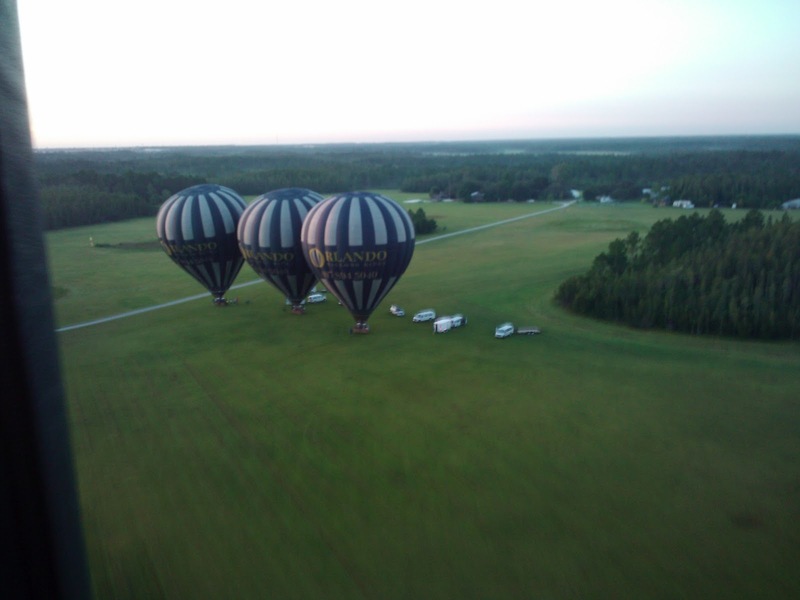 The company we used was Orlando Balloon Rides. They took us to this beautiful open field, which is also a hang glider community. 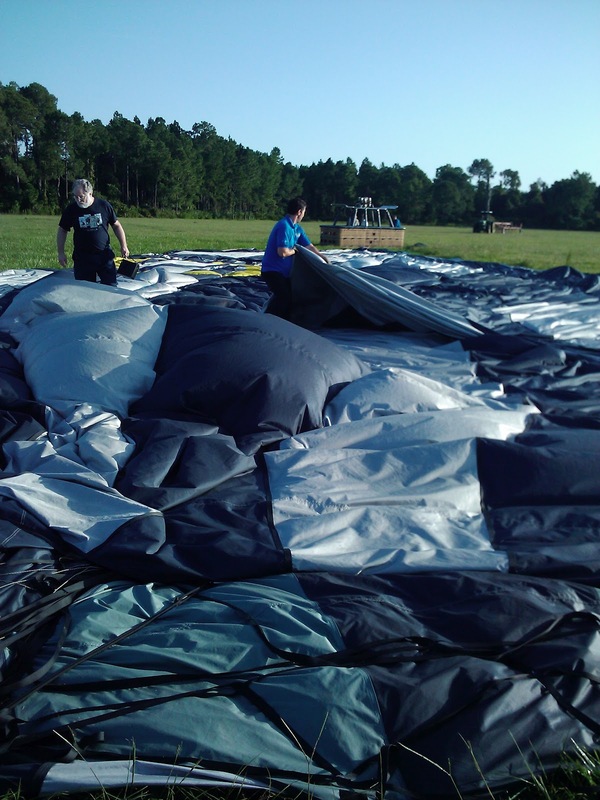 After they unloaded the balloons and spread them out, they fired up the tanks and away we went! 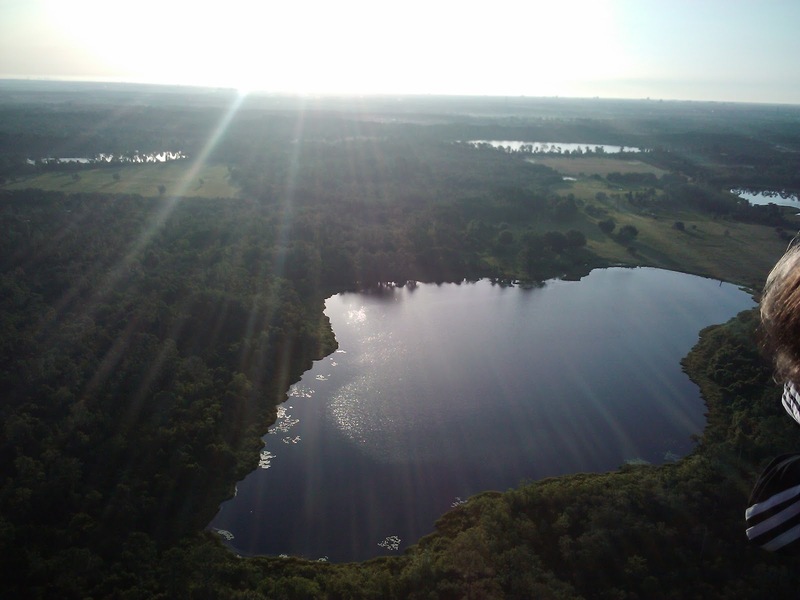 We floated over the Green Swamp, which is actually quite close to our house. The sun was rising right over Disney World as we floated up. I was amazed how the air smelled. So fresh and crisp and green. 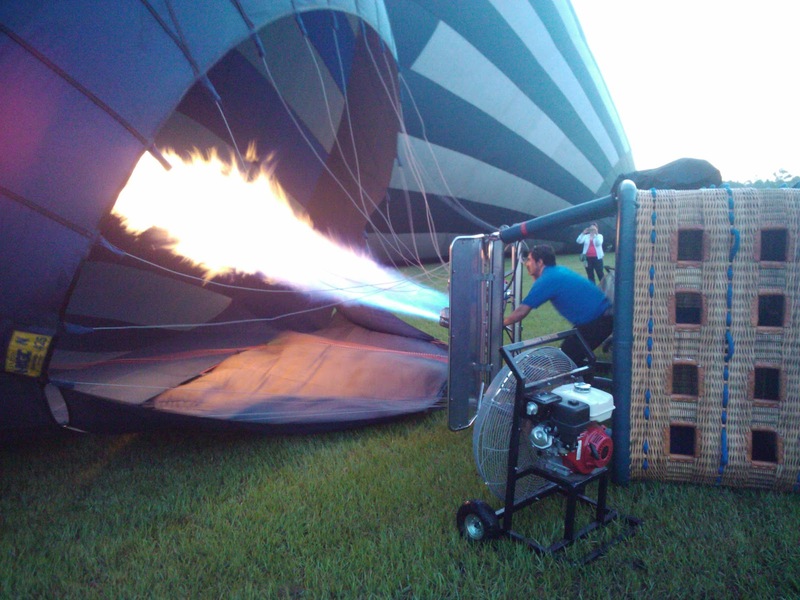 And whenever the gas wasn’t blasting into the balloon, the air would just silently whoosh around us. I’ve never experienced that kind of silence before, even on top of mountain peaks. Then we landed in the middle of nowhere. We packed up the balloon as a group, avoiding the cow gifts scattered about. The craziest part was this kid blitzed out of the woods on his four-wheeler to say hi. He was looking for his dog apparently, but I was so distracted by the wild boar strapped to the front of his four-wheeler I could hardly concentrate what he had to say. Especially when the boar squealed! Then we jumped into the balloon basket on the truck and drove out to the main road (which took nearly a half an hour on sand roads and pastures). The champagne toast and breakfast made the morning absolutely perfect. Awesome! Thanks for sharing your special time with us all. What an amazing experience. I’ve already researched the companies that do this in my area, because I’d love to do this someday. Oh Christina! That is something I’ve always wanted to do. What a wonderful treat for you and your husband. I say he’s a keeper. Ah, what a wonderful outing. 🙂 So beautiful. Thanks for sharing. Wow, what a sweet surprise! Those pictures are gorgeous. So glad you had such a great adventure! Well, that’s got to be the best surprise ever! I would love to do this. Thank you for sharing. THat is one thing I have never done. Very cool! 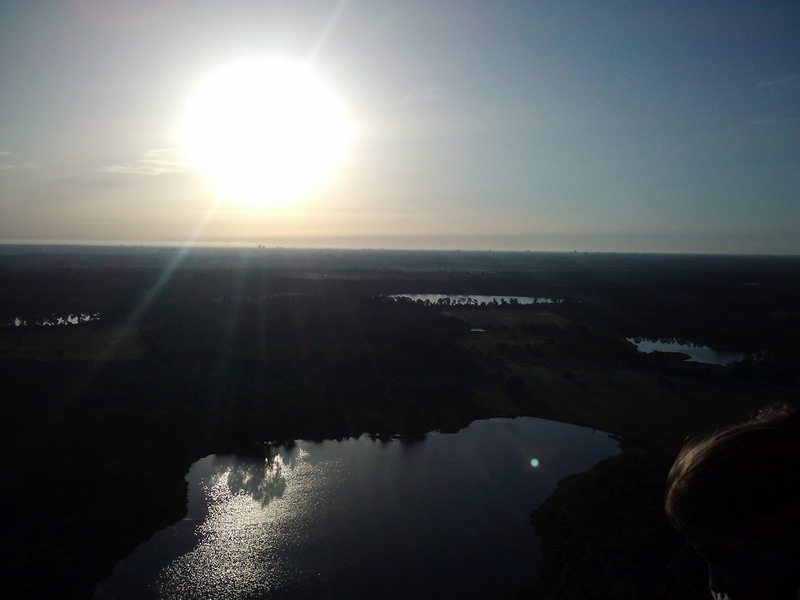 The hot air balloon ride is really amazing. I will look outside the window changing colors that you will want to take a balloon ride to see the colors from the hot air balloon. Thanks for the excellent write up.